I thought I’d share something Stephen and I tried recently that was honestly pretty life-changing. Have you heard of Whole30? 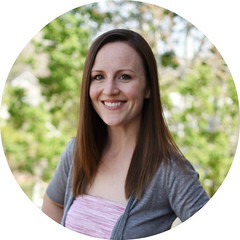 It’s a 30+ day limited ingredient diet you can read about here that basically eliminates major food types that can negatively affect mood, energy levels, allergies, and weight. It’s all about eating good food (as much as you want) and paying attention to how your body feels. We were both a bit skeptical, but when our program ended we felt awesome! 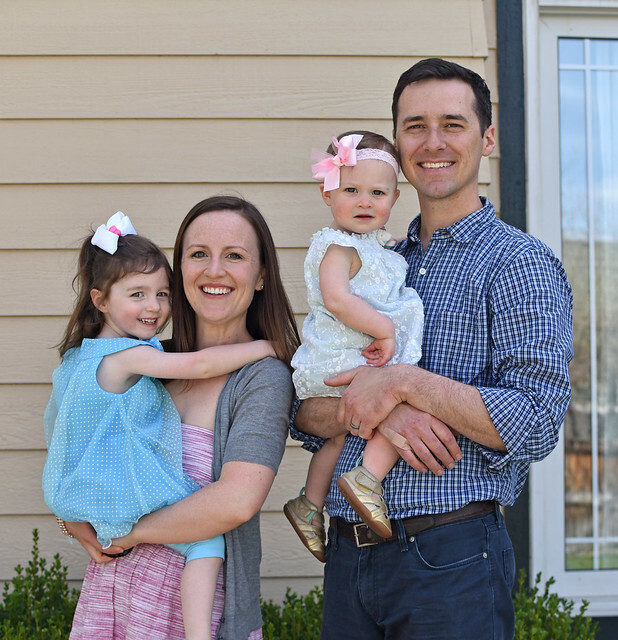 Both of us lost 10+ pounds without counting calories (weight loss wasn’t even the goal) and have so much more energy than before, which is important for keeping up with our littles! The steps are really basic and most of the information about what foods to eat and avoid is readily available online, but there are also some great books with more information and recipes to help you get started. Here’s the book that explains the program, here’s the step by step guide with recipes, and here’s another cookbook with 150 compliant recipes. These are all currently on sale on Amazon prime! I wanted to share a few recipes that were our go-tos over the past month AND that we’ll continue to eat now that our Whole30 month is over. These are delicious regardless of which “food rules” you are or are not following! Please pin these recipes from the original source. 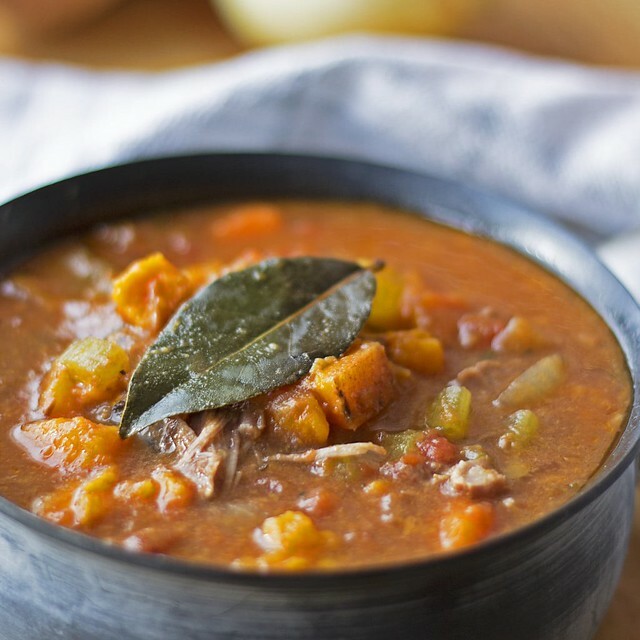 This was by far our absolute favorite new recipe. We followed this recipe from Kelley and Cricket very closely, except we added 3-4 diced white potatoes and at least half a bunch of kale and cooked it for 30-35 minutes in our Instant Pot. 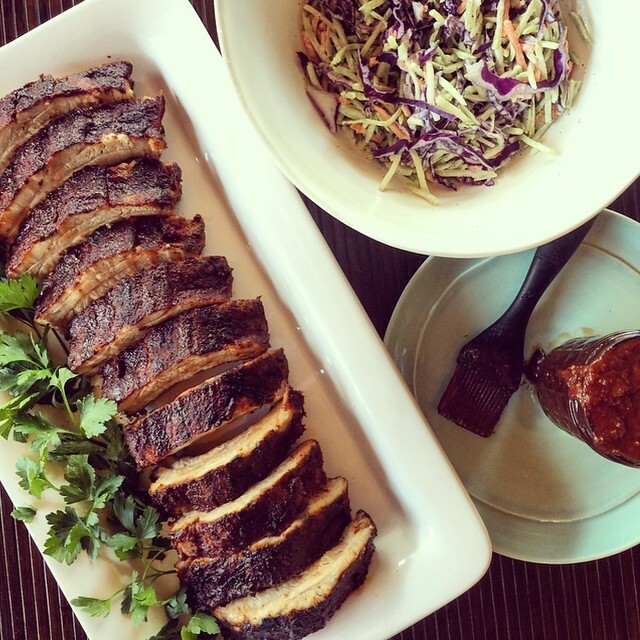 Next, this recipe for BBQ sauce from Happy Wife Style. We put this on boneless skinless chicken thighs or 2″ slices of pork tenderloin and pop them in the Instant Pot for melt-in-your-mouth barbecue in 20 minutes. 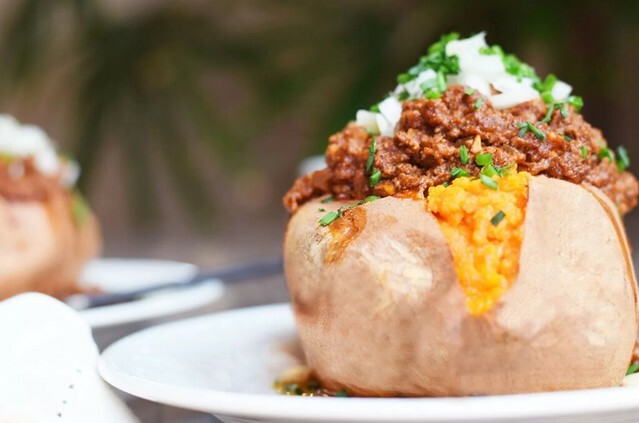 We’ve served these Enchilada Stuffed Sweet Potatoes by Living Loving Paleo to company several times, and they are awesome! We love ours topped with homemade guacamole. They make a completely filling and satisfying meal. One note, we reduce both the chili powder and cumin to 2 teaspoons each. This still makes the sauce super flavorful! 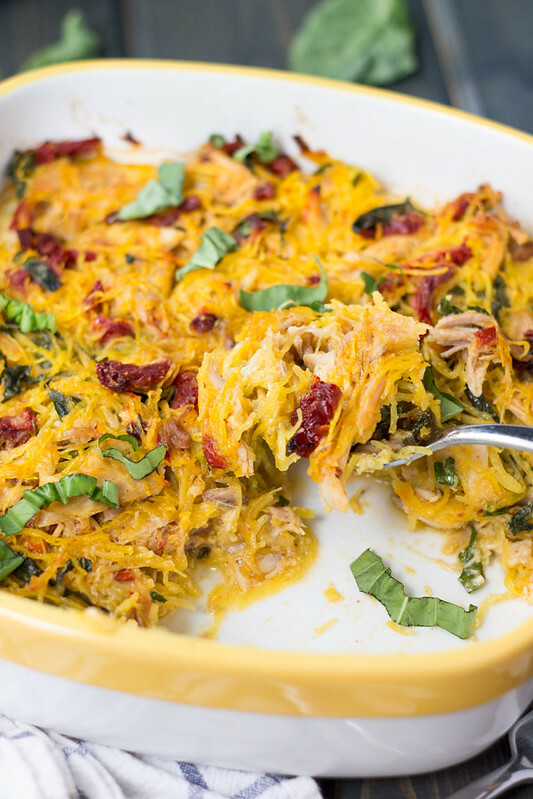 This recipe from Physical Kitchness was a nice change of pace – lighter with the shredded chicken and spaghetti squash but still super filling. She also includes a great tip for cooking the spaghetti squash quickly. I made the most alterations to this recipe, so I’ll just include my version below. Preheat oven to 350 degrees. Coat bottom and sides of 9×13 baking dish with olive oil. On stovetop, sauté onion 3-4 minutes in olive oil until brown, then add garlic and spinach and continue cooking until spinach is wilted. Remove from heat. In a small bowl, whisk together eggs, coconut milk, and spices. In a large mixing bowl, combine all ingredients then spread in baking dish. Bake for 30-35 minutes until the edges begin to brown and most of the liquid has evaporated. Finally, another of our absolute favorites, this Instant Pot Rotisserie Chicken recipe from A Pinch of Healthy. I made this for the first time just this week, and OH MY WORD it was amazing! I followed the recipe exactly – no changes required! One kitchen tool we could not have survived Whole30 without? Our Instant Pot! 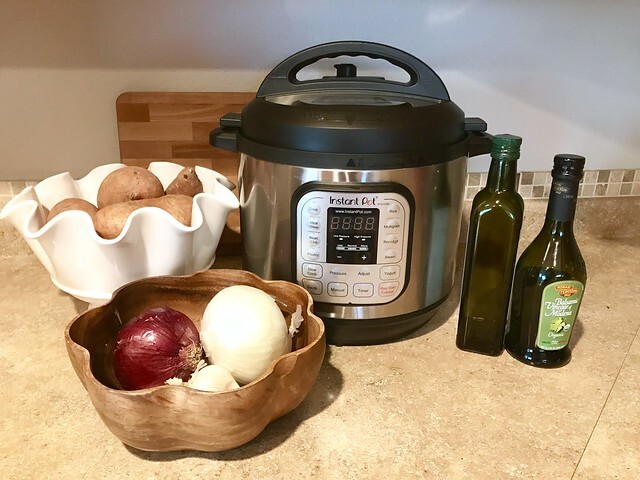 We’d been doing lots of research into the world of pressure cookers, and when our slow cooker bit the dust THE DAY we started Whole30, we decided it was time to upgrade. We got the 8 Qt pot because we tend to cook lots of food and eat the leftovers for lunch the next day, but there’s the more standard 6 Qt version, too. This particular pressure cooker can also slow cook, steam, make rice and yogurt, sauté, and more. Amazingly, even though this was meant to replace our slow cooker, we haven’t used the slow cook feature once. 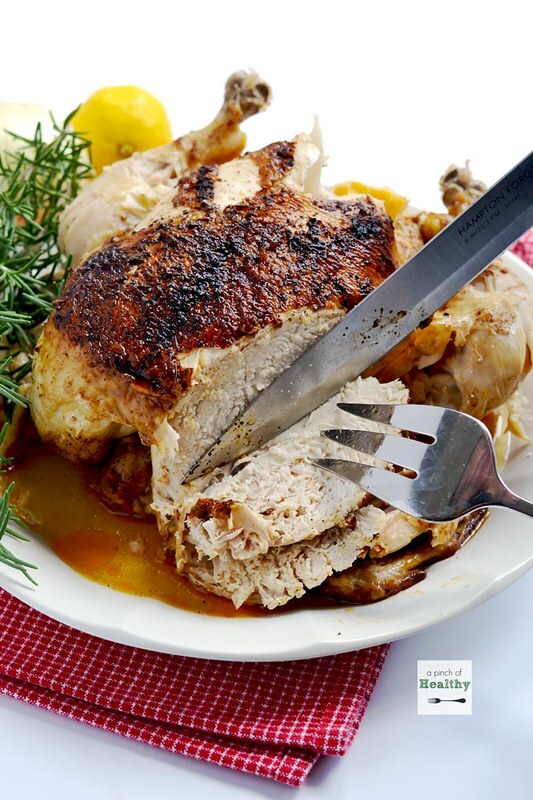 It is just too darn easy to put a whole chicken in the pot, turn it on, and eat 45 minutes later! So, if you’re considering Whole30 or just want some new delicious recipes, give these a try. I’ve also shared more Whole30 compliant recipes on my Whole30 Pinterest board. Let me know if you try any of these recipes or if you have any favorite healthy dinner recipes to share!